BEOADH (BEATUS), a Bishop of Ardcarne in Co. Roscommon, Ireland, few facts are known of St. Beoadh’s life. Traditionally he has been renowned for his piety and the miracles that are associated with him. It is believed that he reposed sometime between 518 and 523. 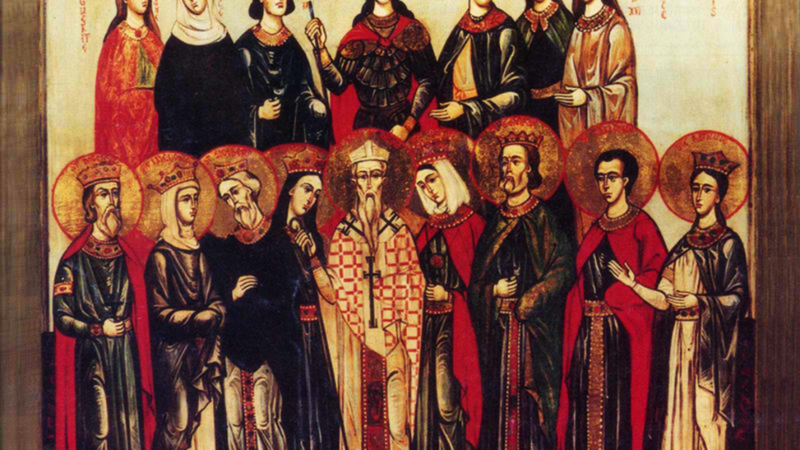 CYRIL, ROGATUS, FELIX, ANOTHER ROGATUS, BEATA, HERENIA, FELICITAS, URBAN, SILVANUS, and MAMILLUS, (Date Unknown), St. Cyril, a bishop, and members of his flock, martyred in North Africa. Nothing is known of them aside from these names. Enlighteners of East Anglia, we rightly praise you, holy and God-bearing fathers. Glory to Christ our King the Redeemer of the World! FELIX of DUNWICH, a native of Burgundy, who, after converting the then-exiled East Anglian prince who would become St. Sigebert, King of the East Angles (25th January) (r. 630/1–? ), made his way to England. Establishing his See at Dunwich in Suffolk, St. Felix laboured there for seventeen years, successfully preaching the Gospel to the heathen in East Anglia. He founded a school for boys with the help of King St. Sigebert, which he staffed with teachers from Canterbury. St. Felix reposed in 648 and was buried at Dunwich; his relics were translated to Ramsey in 971. St. Felix has given his name to Felixstowe in Suffolk, and to Felixkirk in Yorkshire. HUNFRID (HUMFRIDUS, HUMPHREY), a monk at Prüm Abbey (Fürstabtei Prüm) in Lorraine (present-day Roman Catholic Diocese of Trier, Germany). In 856 Pope Nicholas I promoted a reluctant St. Hunfrid to Bishop of Thérouanne in Gaul. Forced to flee his See during a Norman invasion, St. Hunfrid returned to assist with the city’s restoration and serve as Abbot of St. Bertin Abbey (abbaye Saint-Bertin). St. Hunfrid reposed in 871. JULIAN of TOLEDO, consecrated the thirty-fourth Archbishop of Toledo in 680, St. Julian presided over several important councils at Toledo, and played a significant role in revising the Mozarabic Liturgy. A prolific writer, St. Julian is best remembered for his Prognosticum Futuri Saeculi (a treatise on Christian Eschatology), and Historia Wambae regis (a history of King Wamba of Spain’s accession to the throne and early reign). St. Julian reposed in 690. PONTIUS, St. Cyprian’s (16th September) deacon, St. Pontius accompanied St. Cyprian into exile from Carthage in North Africa and witnessed his trial and execution. He later wrote a Life of St. Cyprian . St. Pontius reposed circa 260. PROVINUS, a disciple of St. Ambrose (7th December) in Milan who served as St. Felix’s (14th July) co-adjutor and, following St. Felix’s repose, Bishop of Como. St. Provinus reposed circa 420. RHIAN (RANUS, RIAN), (Date Unknown), the saint for whom Llanrian in Pembrokeshire is named. He has been described as an abbot by both, chronicler William of Worcester (†1482) and antiquarian John Leland (†1552). Neither specific dates nor particulars of his life are ascertainable. 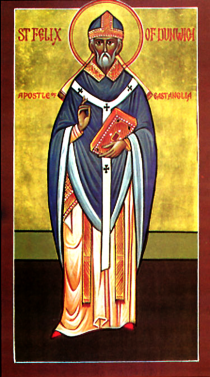 SENAN (SENAMES), one of the 'Twelve Apostles of Ireland', St. Senan was a disciple of St. Natalis (27th January) and a monk, possibly an abbot, Cassidus. After finishing his studies, he established a monastery on the Island of Inniscorthy (Leinster), he then visited Rome and Gaul, and on his return spent time with St. David (1st March) in Wales. Returning to Ireland, he founded more churches and monasteries, notably one in Iniscarra near Cork, finally settling on Scattery Island in the Shannon estuary, where he reposed circa 540.